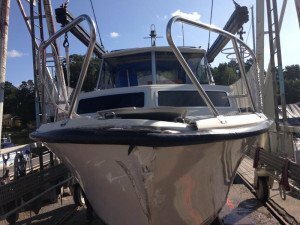 We at Wasa Yachts have long experience in fiberglass and gelcoat repairs. We can basically repair everything with a good result. 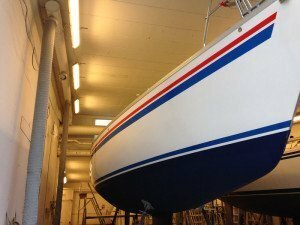 It’s normally referred to only as plastic damage, but it is the combination of knowledge, fiberglass and gelcoat that gives a good end result. 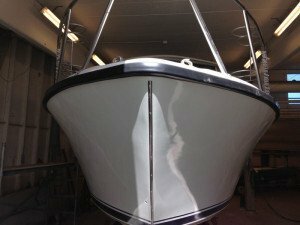 Our fiberglass and gelcoat expert has over 30 years of experience in this type of work, which ensures that you will get the best results possible in any circumstances. 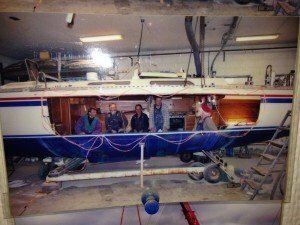 Our experience as a boat builder, of course, also helps. Below are some examples of before and after pictures of damage that we have repaired.